A short stroll to the top can access some awesome backcountry lines. The spring conditions are fantastic here at the moment with total cover still at Goryu and Hakuba47. The backcountry is stable and offering lots of verticle in perfect corn snow. 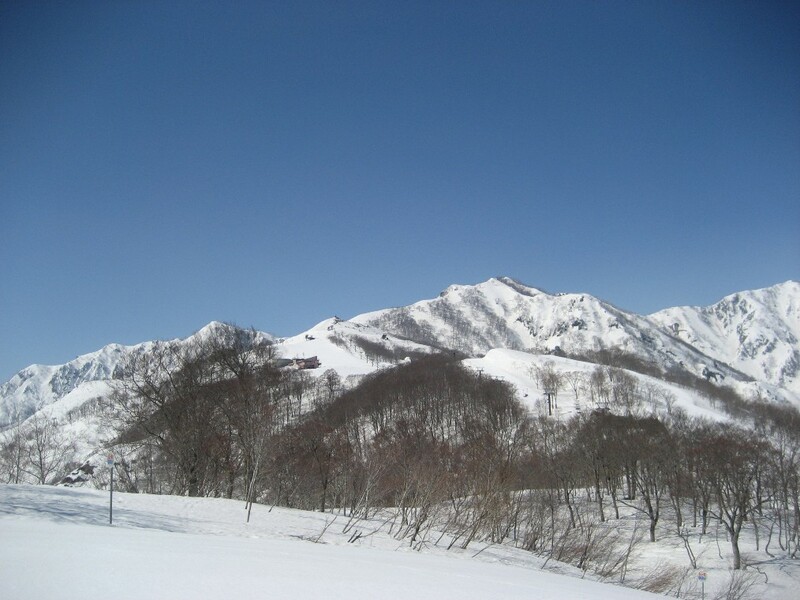 April weather in Hakuba is mostly calm with blue sky. A great time to come and enjoy the Japan Alps. Cheap accommodation deals along with discount lift tickets and being able to get a table at any restaurant without booking are just a few extra bonuses. This entry was posted in Backcountry, Food, Hakuba, Hakuba Accommodation, Hakuba Hotels and tagged accommodation, Hakuba Hotels, hakuba47, ski japan, snowboarding, spring skiing. Bookmark the permalink.